There are several Android 3.0 Honeycomb tablets already on the market, but HTC decided to launch the Flyer with Android 2.3 Gingerbread which is a smart phone operating system. Although most of these new tablets have a 10.1 inch display such as the Motorola Xoom or the Samsung Galaxy Tab 10.1, the HTC Flyer has a smaller 7-inch screen much like last year’s Samsung Galaxy Tab 7. This tablet also breaks away from the pack with pen input support for handwritten notes and a brand new tablet optimized HTC Sense interface. There is a lot the HTC Flyer has to offer and news about an upcoming software upgrade to the latest tablet optimized Android 3.1 operating system is exciting too, but there are several concerns worth addressing for potential buyers. 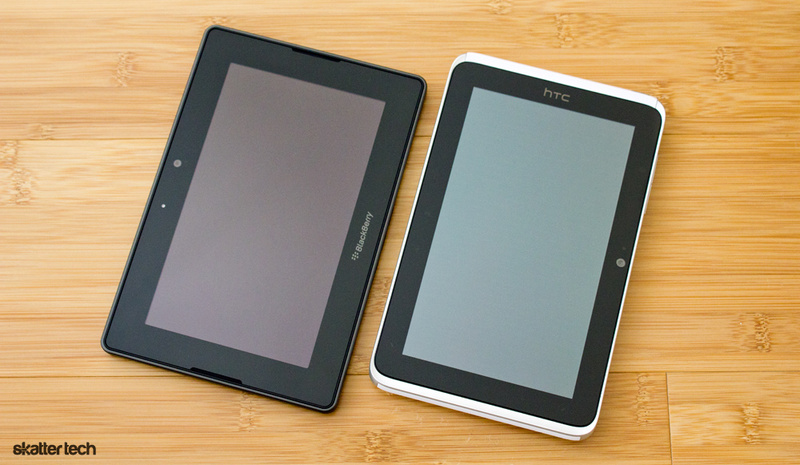 The HTC Flyer weights about .9 pounds (14.8 ounces) making it approximately as heavy as the similarly sized BlackBerry PlayBook. The 7.7 inch height and 4.8 inch width are perfect for holding with a single hand, but the 0.52 inch depth makes the HTC Flyer thicker than other tablets such as the Apple iPad 2 and Dell Streak 7. Although not problematic, I felt this tablet was a bit too bulky for a 7 inch device. It would be great to see HTC push for a lighter and slimmer design in a future iteration. The front of the HTC Flyer is clutter free with the 7-inch display and a 1.3 mega pixel camera centered on top when held in a landscape view. The black border under the glass display creates enough space for holding without having fingers cover up screen. There are two sets of capacitive touch keys for Home, Menu, and Back actions — only a single set is visible at a time depending on the orientation of the tablet. A search key is notably missing, but a custom button to activate the pen mode is off to the right side. 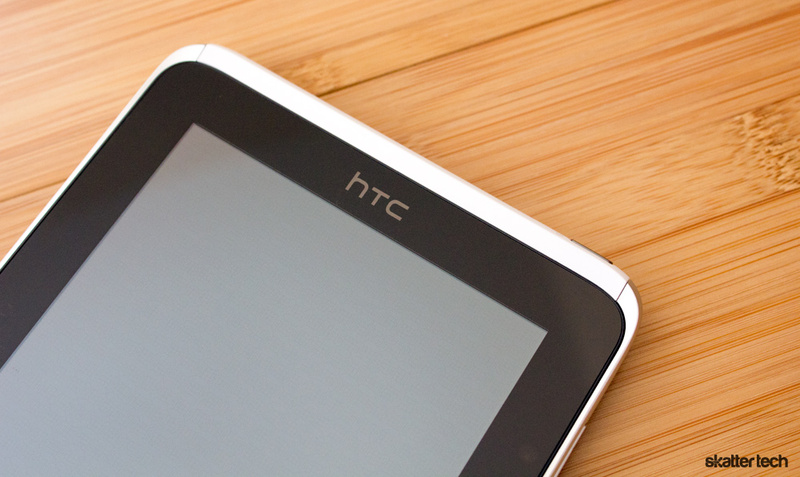 While most tablets have a flush frame, the edges of the HTC Flyer slightly wrap around onto the front side. Some may find it aesthetically unappealing, but it does offer a better grip. The back side has a silver aluminum frame with white matte rubberized plastic covering the bottom and upper portions. The plastic parts take away from what could have been a streamlined uni-body aluminum design, but they also form a great grip for each hand when held in a landscape orientation. The upper piece surrounding the 5 mega pixel camera slides off for access to the microSD slot. For those wondering, there is no removable battery pack. There are stereo speakers on the upper left and right sides of the back which is perfect for watching movies or listening to music. The power button and the 3.5 mm headphone jack are on top while a microUSB port is on the bottom. HTC includes a AC wall adapter for fast recharging and provides a USB cable for data syncing. The volume control is on upper left side. Other innards include a 1.5 GHz processor and 1 GB of RAM. The HTC Flyer comes with 32 GB of internal storage and users can add a microSD card (32 GB max) for additional space. Bluetooth 3.0 with A2DP stereo support enables compatibility for wireless headsets, headphones, and other accessories. There is unfortunately no HDMI output or DLNA support which is quite disappointing. The Flyer at least packs an ambient light sensor, accelerometer, compass, and GPS inside. The HTC Flyer features a 7-inch touch screen with a 1024-by-600 pixel resolution. This equates to a pixel density of 169 ppi making text and images look sharper than the 149 ppi screen on the Galaxy Tab 10.1. Viewing angles are more than enough for comfortable use, but it still does not match the quality of the IPS displays Apple uses on their devices. Ambient light sensors manage brightness quite well ensuring the screen is easy to read. Even though the display can pump out an amazing amount of brightness, using the tablet under direct sunlight is still an issue due to reflection — a problem with just about any tablet. I also found that laying the HTC Flyer face down was safe since the edges wrap around the sides to prevent the screen from touch a flat surface. 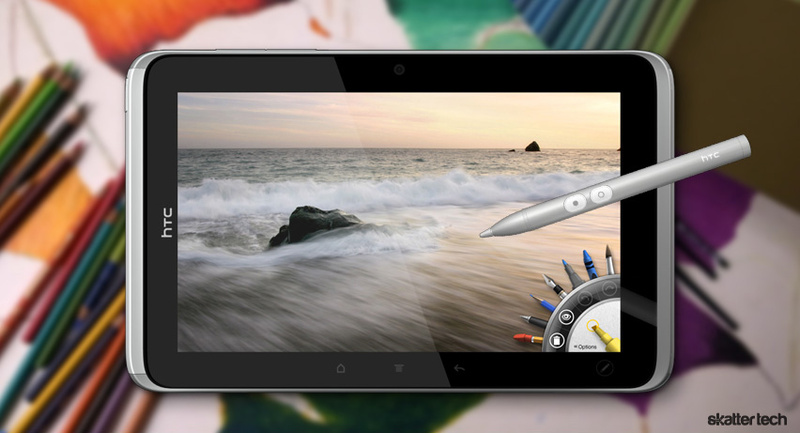 More importantly, this tablet truly stands out because it features pen input support. HTC includes a special digitizer under the hood to make this possible. For those not familiar, most current-generation tablets do not work with digital pens. I was even more surprised to find the touch experience unharmed despite the inclusion of this technology. Tablet PCs generally have odd-looking dull displays which is quite frustrating. Aside from a subtle grid of dots on the screen, it is nearly impossible to figure out that there is a handwriting aspect to this tablet. 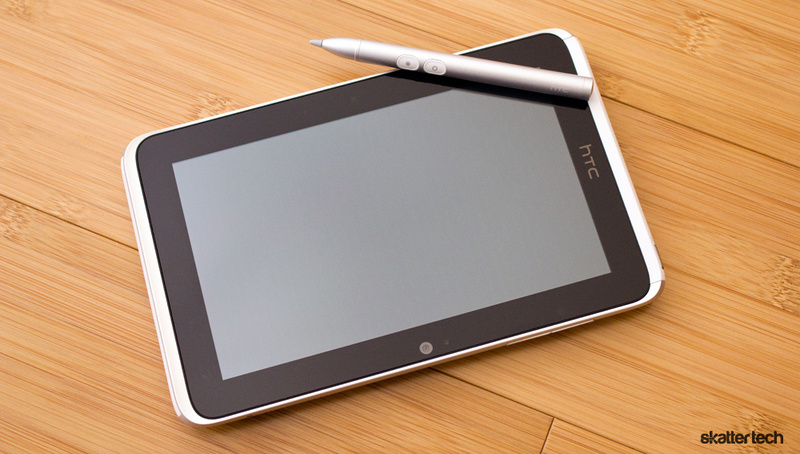 Tapping the writing button with the pen launches HTC Notes. This app makes several tools available including ones for a brush, crayon, marker, pen, and pencil. Users can also select different colors and choose from a set of thicknesses while jotting down notes. There are two buttons on the pen: one enables the eraser mode while the initiates the highlighter mode. The pen is also pressure sensitive which is an important feature for those who are artistic or simply want a natural feel. When I first began writing on this tablet, it was awkward and difficult due to the small screen size. After I put the Flyer to use a few times, things got easier and I soon found it comfortable to jot down notes during meetings. The HTC Notes app supports typing text, snapping photos, and recording audio too — it even syncs up with Evernote. Staying on that topic, I should note that there are only three apps on the HTC Flyer which support the pen. Trying to interact with standard interface elements or even punch keyboard letters will prove unsuccessful. The HTC Scribe software will snap a screen shot when you use the pen with an app that does not support it. Those interested can of course draw over the contents of their screen and share the file with any compatible app. I was also frustrated to find that certain interface elements still require interaction with your finger even when the pen is active. The issues do not end there. This pen costs $80 for starters. It also requires a AAA battery for use. There is no slot in the tablet to stow the pen and HTC does not include a case with a holster for it either. Having to replace such an expensive accessory, which will inevitably get lost, is not fun. Justifying the price tag is tough. I think HTC should at least include a custom keyboard so that users can take advantage of this pen from within any standard Android app. It is somewhat disheartening to see the Flyer running on Android Gingerbread especially when I began getting comfortable with the tablet-optimized Android Honeycomb on the Motorola Xoom and the Samsung Galaxy Tab 10.1. With confirmation that HTC plans to deliver Honeycomb to this Gingerbread tablet, I am especially curious to see how things will work moving forward. For instance, the new operating system does not require the physical touch keys which are currently present. Anyways, lets take a step back to examine the current state of things. When it comes to Android, just about every manufacturer includes their own interface overlay for a fancier look and additional features. Although I am a fan of HTC Sense on smart phones, the new version on the Flyer goes further than ever before. It has come to a point where the native Android operating system is almost entirely unrecognizable to the average person. In one way it is great that HTC is filling in the missing pieces with their own software, but others may cite the lack of consistency between Android devices. A tap on the power button and the Flyer presents the new lock screen. In addition to standard goodies such as a security puzzle/password and a “drag to unlock” animation, HTC Sense lets users select four shortcuts for instantly launching an app. The new home screen, which works in landscape and portrait orientations, features a 3D carousel with eight customizable pages. There are more out of the box widgets than ever before and each one is more gorgeous than the last. HTC Sense also brings new informative live wallpapers with beautiful graphics including one for weather. The notification drop down menu now includes a list of recently used apps and a tab for quick settings. There are even a set of high quality skins to re-style the entire interface and users can download more ‘packs’ as they become available from HTC. The native multi-touch keyboard is easy to use and voice-to-text input works wonderfully as always. There is little to no lag when switching between apps. 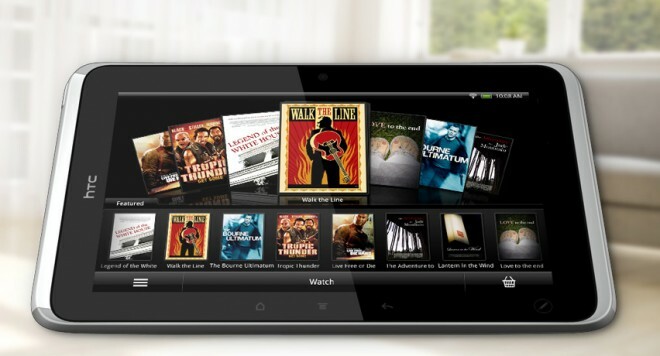 For the most part, the performance on this tablet is better than with many Android smart phones. Although I would have prefered QuickOffice or ThinkFree, the HTC Flyer ships with Polaris Office for document editing and viewing. HTC Sense also upgrades the native browser, calendar, and email apps with an interface that takes advantage of the tablet form factor. I generally complain about bloatware, but I was glad to find a minimal amount on this tablet. I would prefer a totally clean install, but I do not mind that the HTC Flyer ships with apps such as Amazon MP3 or SoundHound which I would install myself anyways. When it comes to audio, the HTC Flyer supports AAC, OGG, MP3, WAV, WMA, and a few more. Video format support includes MP3, WMV, AVI, and XVID. As I mentioned before, HTC Sense does not include DLNA integration on this tablet as it does on the HTC Thunderbolt. The lack of HDMI is also a bust, but some rumors indicate that a software upgrade might enable that feature over USB using the new MHL standard. For those wondering, there is no FM Radio support either. The Flyer ships with HTC Watch for buying and renting movies. The Reader provides a tablet interface for the Kobo app and the HTC Scribe pen allows making notations and highlights. My personal favorite was the pre-installed Press Daily app which provides access to a digital replicas of major newspapers from across the country. Although you can easily visit The New York Times for instance, it is always nice to browser through the layout of the hard copy with your fingers. Audio through the set of stereo speakers are decent, but nothing too outstanding. It is definitely by no means problematic, but HTC should considering including a better set in newer tablets. Those picky about quality should simply plug in a pair of headphones for a better listening experience. After snapping a few photos and recording a few short videos, I have to say that the main 5 mega pixel camera is rather lackluster. Considering that smart phone siblings such as the HTC Thunderbolt get the job done right, it is sad to see a wasted opportunity. Image stabilization is not too great and this is especially a problem since holding up a heavy tablet generally leads to unwanted movement. In addition to blurriness, there is a hint of grain which comes with each photo. Captured video has plenty of compression artifacts and is not as sharp as 720p video could look. Since there is no LED flash, quality in low-light conditions is poor. HTC Sense does at least provide a fairly decent interface for the camera. Just a few basic features include a self timer, ISO settings, geo-tagging, auto-focus, and face detection. Brightness, contrast, and other image adjustment settings are of course included. The HTC Flyer also comes with a Snapbooth app — much like Apple PhotoBooth – for capturing self portraits with fun effects using the 1.3 mega pixel camera on the front. Although this device runs on Android 2.3 Gingerbread, it still lacks the new Google Talk app which offers video chat. Those looking to place video calls will need to grab 3rd party solutions such as Fring, Tango, or Qik from the Android Market. With a fast 1.5 GHz processor and a smart phone operating system, I did not expect the HTC Flyer to last too long on a single charge. Fortunately, the 4000 mAh battery inside proved me very wrong. I found that this tablet lasts for nearly an entire week on a single charge with moderate use. Thanks to no 3G module draining battery life, this WiFi-only model is quite efficient. The Flyer definitely lasts longer than the Galaxy Tab 7 and only falls short of the WiFi-only BlackBerry PlayBook. When it comes to heavy continuous usage, I found that this tablet lasts at least 7 hours. The built-in power saving software also helps conserve energy when the tablet is not in use. For instance, users can define hours of the day when the HTC Flyer should enter a “sleep mode.” I was also glad to find that charging with a microUSB cable plugged into a computer is possible since certain tablets no longer support it. Of course, plugging into a wall socket with the provided AC adapter is much faster. 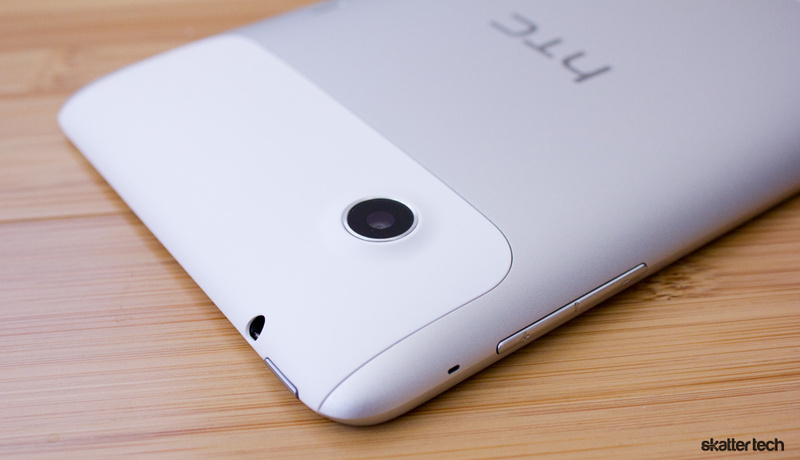 When it comes time to decide whether to buy the HTC Flyer, here is what you need to know. A lot of consideration and thought clearly went into the hardware resulting in a great, robust design. The HTC Sense software adds a ton of features and plenty of eye candy, but things are about to change soon as the company prepares to deliver an upgrade to Android Honeycomb. The pen accessory is probably the most notable and best reason to consider this tablet, but the handwriting experience is still pretty limited. Finding apps is fortunately not an issue since there are 250k apps in the Android Market. Owners will definitely appreciate the long-lasting battery and the only cause for concern is likely the mediocre camera. 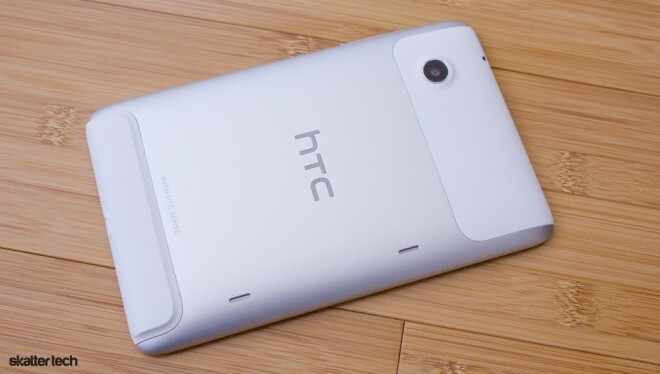 Those ready to pick one up can find the HTC Flyer (WiFi model w/ 16 GB) at Best Buy for $499. Other retailers will likely carry the tablet in a matter of time. Other iterations such as the HTC EVO View 4G is making its way to Sprint stores too. I find it to be a pretty good tablet from the time I’ve used it. Only downfall for ne is probably the screen size but I would this article is solely based on ones opinion try it out for for yourself first. There were some good points mentioned mentioned in the article such as battery life, the easy to hold in one hand. Although it gas gingerbread I don’t it is that big of a deal seriously You pretty much get get solid use. The note app included in there I find it to be nicely designed, my friend has saved a few of writings in there looks great. Give it time it is their first attempt in the tablet market cut em some slack even on a single core 1.5 ghz it is pretty fast. dont knock it until you’ve tried it yourself playing around in best buy won’t give you enough of a fill for a it.